For removing drilling dust when drilling or cleaning holes. 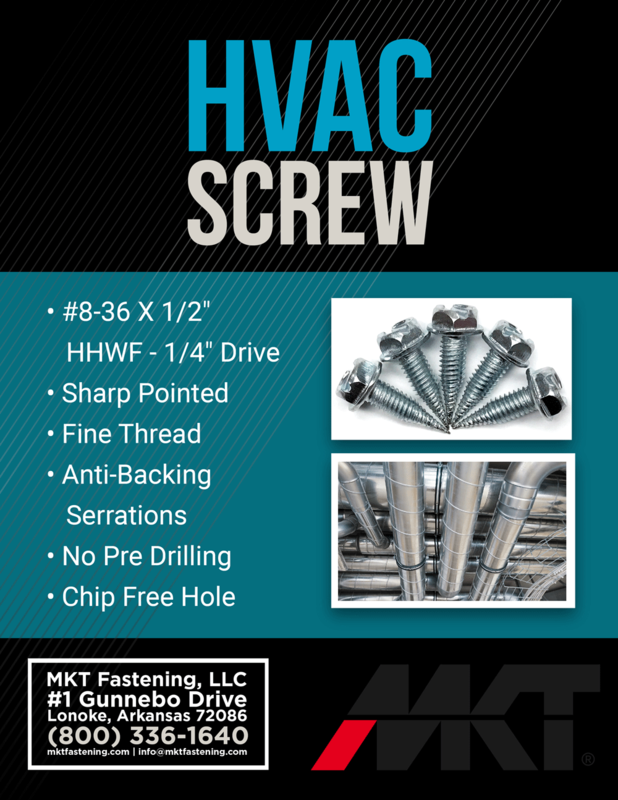 MKT’s HVAC Screw is a sharp pointed, fine thread screw for use in sheet metals of several gauges. Here you can find the technical data sheet. Click here for technical information and here for the video. 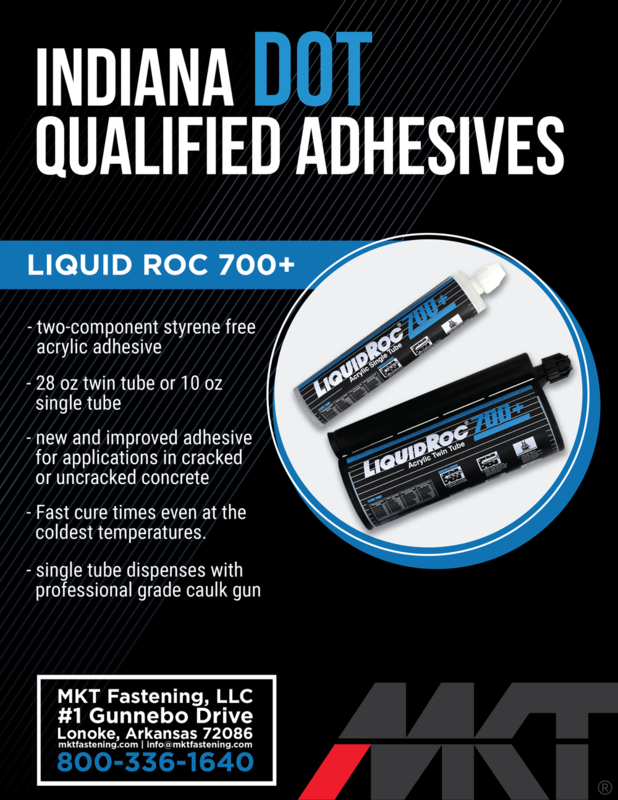 MKT is proud to be included in the Indiana DOT qualified products list for Liquid Roc 700+. This verifies that the product is available for use on DOT jobs in either the single tube or twin tube configurations. Find more information about the product here. 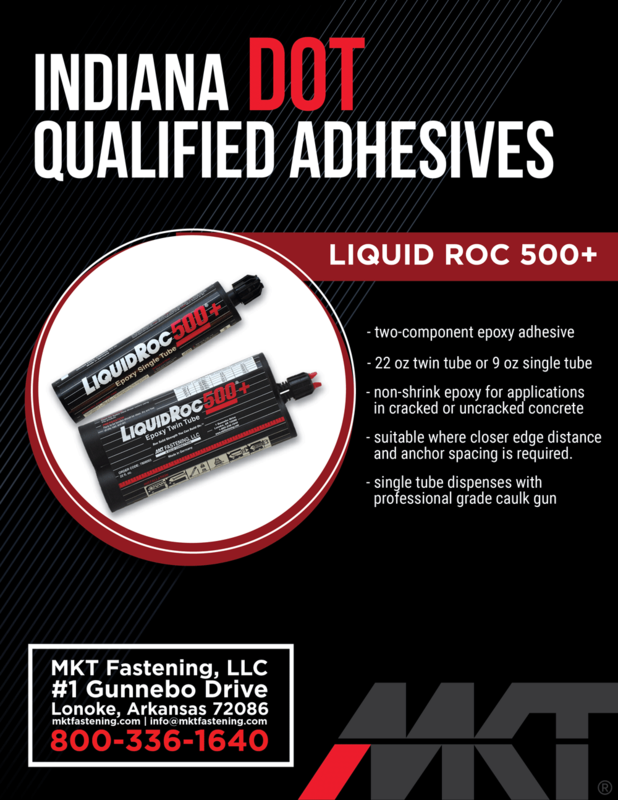 MKT is proud to be included in the Indiana DOT qualified products list for Liquid Roc 500+. 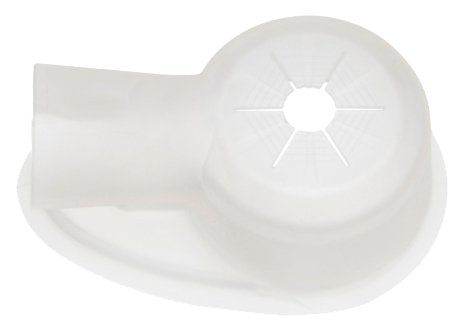 This verifies that the product is available for use on DOT jobs in either the single tube or twin tube configurations. 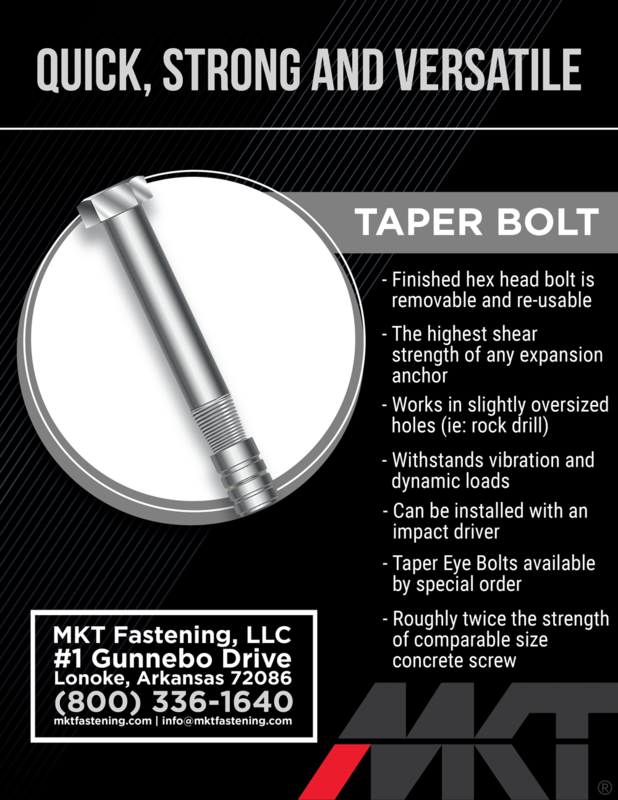 TAPER BOLT - THE BEST ANCHORING SOLUTION FOR THE ANCHORING OF JERSEY BARRIERS AND TILT UP CONSTRUCTIONS. MADE IN THE USA. 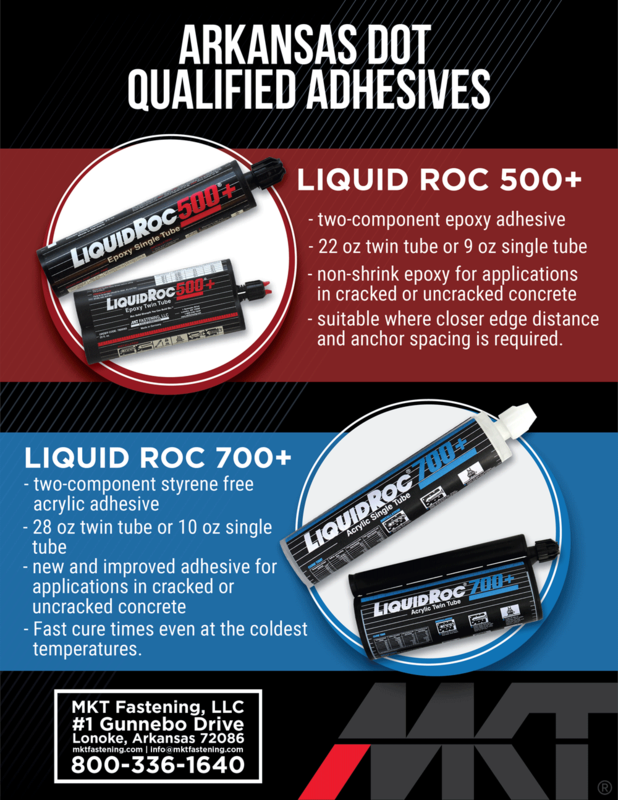 MKT is proud to be included in the Arkansas DOT qualified products list for both Liquid Roc 500+ and Liquid Roc 700+ under section 507 - Resin Anchoring Systems. This verifies that both products are available for use on DOT jobs in either the single tube or twin tube configurations. The best solution for anchoring Jersey Barriers, Guard Rails and Tilt Up Constructions. 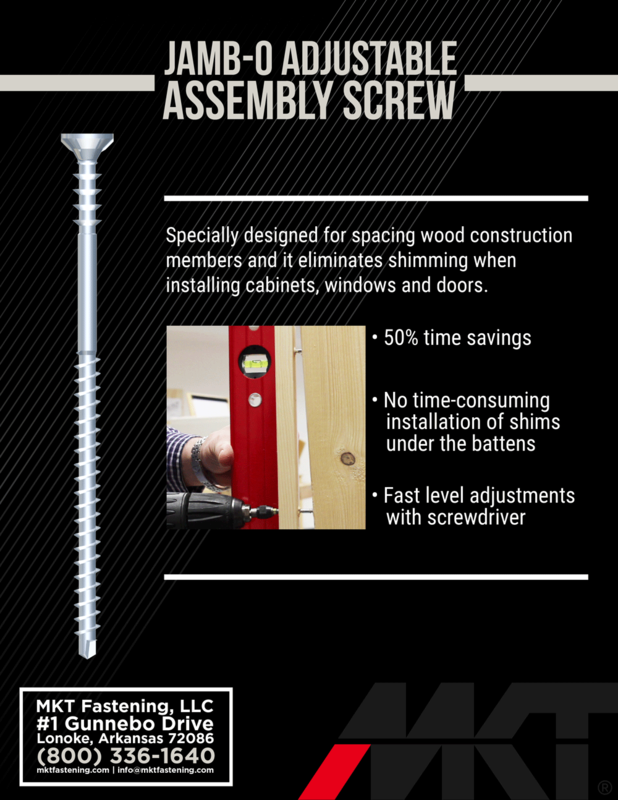 Reusable, high shear loads and made in America. Here you find the video. 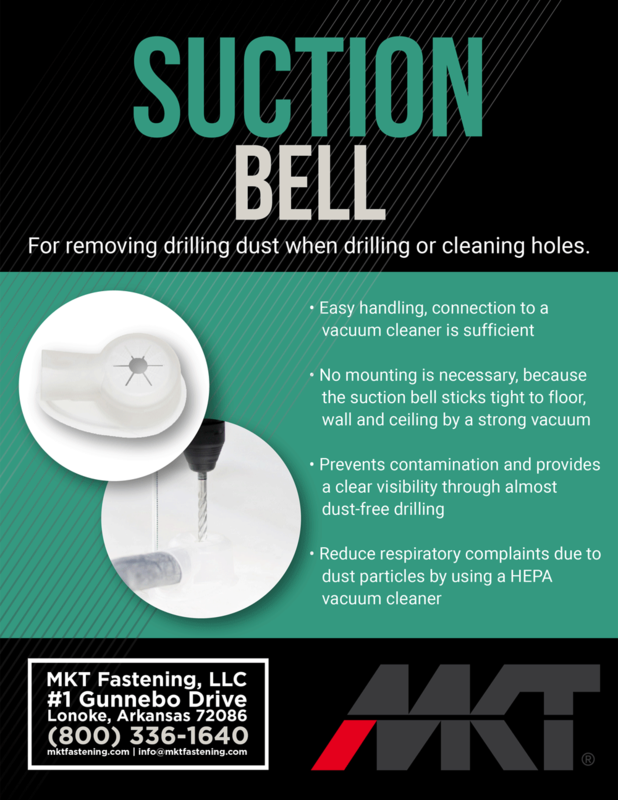 MKT Fastening has introduced a universal Suction Bell attachment to meet the silica dust control requirements for hand held drilling in OSHA 1926.1153. 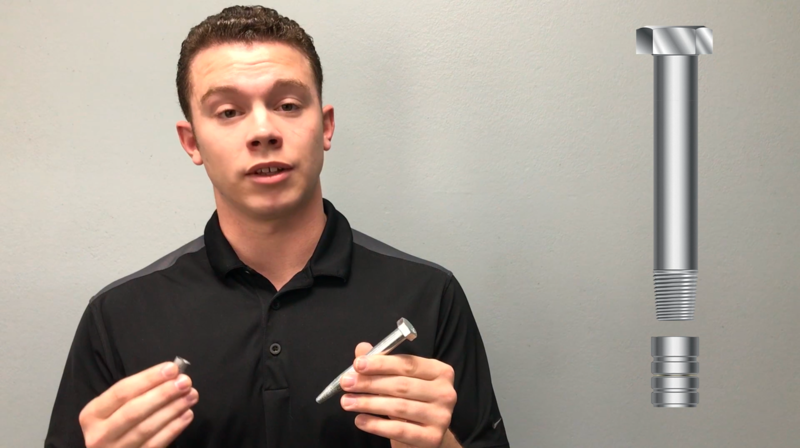 The Suction Bell is designed to work with drill bits from ¼” up to 1¼” used in a rotary hammer drill. 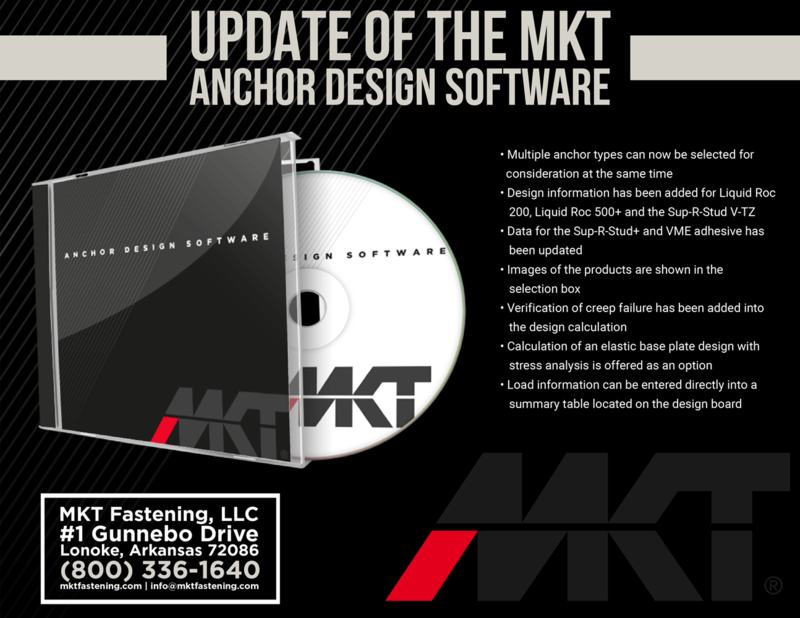 Anchor Design Software is now available from MKT Fastening as an aid to designing connections to concrete for both mechanical and adhesive anchors. 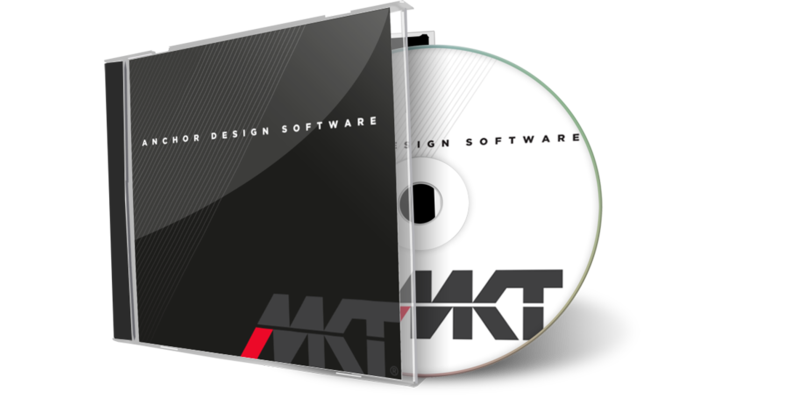 This software includes data for rebar installations as well as cracked and uncracked concrete applications. Here you can download your copy.